If you go to England and speak correct English, people will be impressed. If you speak correct English AND use a few common slang words, people will be VERY impressed. A couple of words will be enough. They will think that you have hundreds more ready to use, even if you don’t. If you memorize the following expressions, success will be yours. They are only used in Britain, not in America – if you use them, you will please the British and confuse the Americans, which means a double success. A drive in a car, or plane etc., for fun. "I'm just going for a spin." Nerve or courage. A slang phrase from London, which has recently become popular. "He's got a lot of bottle." Means he will dare anything. "He's lost his bottle," means he has lost his nerve. 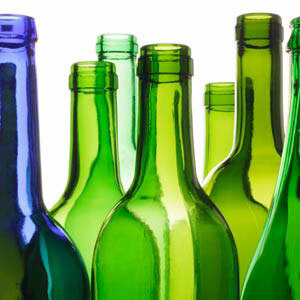 If you’re brave, that is if you have a lot of "bottle", you'll use this phrase. Not functioning. Something that fails to work is duff. "Just my luck to buy a duff battery." If you take care what you buy, you’ll never get a "duff" thing. "I haven't seen you for yonks." "It’s yonks since we last met." The British tend to apologise for everything, even when they are not in the wrong. If YOU step on someone’s toe, HE will probably say "Sorry." This is quite illogical, but it's true. Sometimes you'll get more than expected if you try to speak like a real British person, but if you get it wrong and make a mistake, you’ll probably sound silly.